Why Choose Forest Trail Academy? 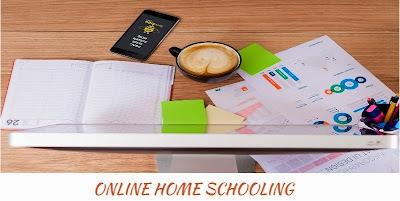 While online home schooling isn’t a new concept to people in the United States, the technology currently being used is definitely a lot more advanced and is moving forward at a rapid rate. Adapting to new technology has never been an issue with the young generation, which is something we need to take advantage of, especially when the technology being embraced is all set to benefit them in a huge manner. Forest Trail Academy has always embraced change and it is one of the key factors we focus on when imbibing in our students the values and skills they need to be successful in the real world. As most of you may be aware, there are a number of schools in the country conducting online K-12 courses. So, why should you choose to enroll with Forest Trail Academy? For starters, Forest Trail Academy is regionally accredited by the Southern Association of Colleges & Schools Council on Accreditation and School Improvement (SACS CASI), and is also nationally accredited by MSA-CESS. We provide our students with a course curriculum that is aligned and articulated to the Common Core State Standards and the Next Generation Sunshine State Standards. Moreover, our integrated online learning platform offers our students access to some of the best online facilities one could ask for. For those of you who may be new to the concepts of online education and distance learning, we’ve even come up with an online demo facility, available at www.foresttrailacademy.com, to help you browse through and know more about the kind of online environment you would be studying in. Studying online is now an option for students across the country and across different grade levels too. While most parents are aware of online high schools, there are online middle schools and online elementary schools as well in the country that are helping groom students for the future. Online learning isn’t just for high school students but also for lower grades and working professionals as well. In addition to helping working professionals get back to school and further their education, online environments have also been employed by companies to impart training to their workforce in an endeavor to further their competencies while keeping costs low. From the perspective of imparting education at the school level, online schooling certainly seems to be the way forward in delivering high quality education at a fraction of the costs of traditional methods. Helping our children gain back their advantage over their global counterparts is of prime importance and the adoption of online education and distance learning is one sure way to help them get there. Online K-12 courses run by online high schools, online middle schools and online elementary schools in the country have opened up so many new possibilities and opportunities for students to pursue their different interests without compromising on their current education. They have been given the opportunity to explore subjects that may have been out of the purview of their traditional education course curriculum without any real hassles. All they need to do is log in to their computers to access their course material, thereby making it a very viable and feasible alternative to traditional education. Reflecting upon times in the past when your child depended on you for practically everything is not uncommon among parents once they grow up to be independent. But no matter how you slice it, your responsibility toward your child as a parent never ends. Every parent is responsible for ensuring their child receives the right kind of education and has access to the maximum number of opportunities once they’re done with their education. While most parents find this to be uncharted territory, online schools in the United States are here to help you navigate your way through this trying phase of your life. Helping your child get his or her high school diploma is just the first step. That’s only going to get them through the door. As a parent, it is up to you to decide on what’s right for them and help them secure opportunities that will help them succeed in the future. Online education and distance learning are just tools to help you get there. Online learning environments have proven to be very viable alternatives to traditional schooling methods especially in terms of costs involved and given the current economic crisis we've just managed to get ourselves out of, such platforms are proof of efficient solutions that will help put our children back on the right path to success. Earning a high school diploma isn't just about getting a degree; it’s about securing and attaining the required knowledge that will help your children chart a successful career path for themselves. Employers these days are looking for more than just a degree. They want to know what else it is that a person can bring to the table. If you’re thinking about equipping your child to be one of those students who makes it in the real world then you have got to consider the use of distance learning options. In addition to being great for students and delivering the goods, online learning platforms offer parents and teachers versatile options to interact with students and monitor their progress on a consistent basis. Since physical presence is not required, parent-teacher meetings can be conducted online at the convenience of both, parent and teacher, and the modes of communication that can be employed too, offer you a number of choices. At the end of the day, you need to make sure your child is registered and enrolled with an accredited online school in the country since credentials play a very important role when it comes to college acceptance and job applications. Forest Trail Academy understands just how important these factors are to a child’s future, which is why our online school is fully accredited and registered with the Florida Department of Education. If you’d like to know more about us, we’re just a click away. Log on to Forest Trail Academy today!